Today I am going to share with you about a long overdue story which happened on 3 Oct 09. 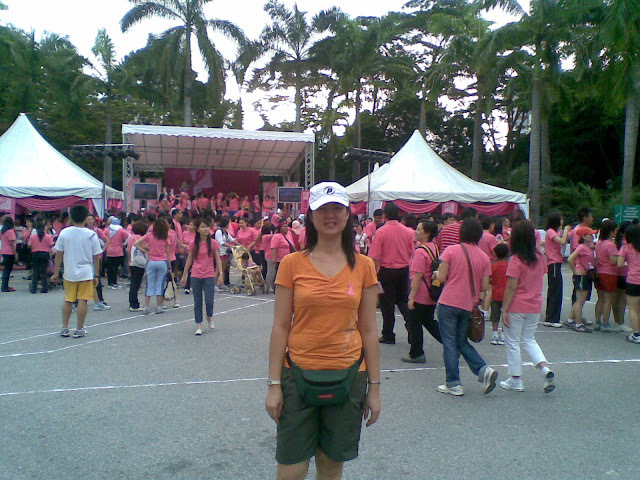 I participated in the Walk for WORLD PINK event. 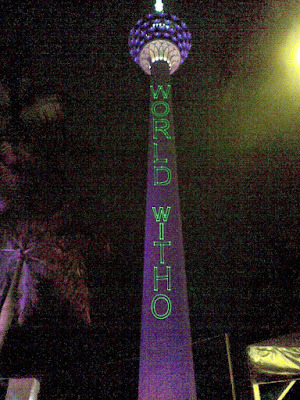 It's a 3.8km walk in KL starting from KL tower and ends at the same place. 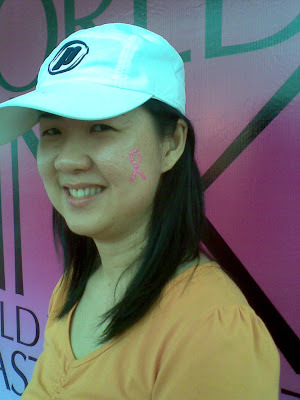 The event was organized by Estee Lauder in conjunction with breast cancer awareness. By the way October is breast cancer awareness month. 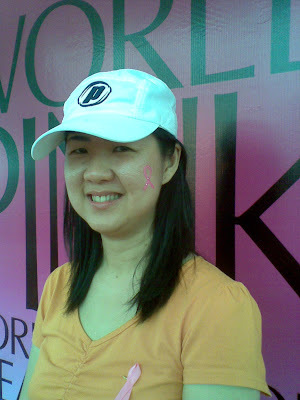 Here are some pictures - note the pink ribbon painted on my face. And don't forget to perform a regular breast self examination (BSE) every month a week after your period. Watch this video for a clearer understanding of how to perform your BSE.